1) Any .dat files with names that start with "omlibs-tokens-cache…"
Once you’ve done this, the next time you try to connect to Azure Analysis Services from SSMS you’ll get prompted to log in again. Future releases of SSMS will have proper support for logging in and out of Azure SSAS, but even with the latest version (version 16.5) you’ll still need to following these steps. Support for multidimensional models will be considered for a future release, based on customer demand. I’m pretty sure there there will be plenty of demand for Multidimensional support given the installed base that’s out there. Why should we be excited about this, though? What will Azure Analysis Services be useful for? Obviously, if you want to build a completely cloud-based Microsoft BI solution then Azure SSAS is an important component to have available. Also, consider the fact that the load on a typical SSAS server varies a lot over time: daytime is usually much busier than night-time, weekdays are usually busier than weekends, and some days of the month (such as month ends) may be much busier than others. It will be great to be able to build cloud-based SSAS solutions that can be scaled-up and scaled-down to meet demand, rather than expensive on-premises SSAS solutions that are underutilised most of the time. I also think Azure SSAS will be very interesting to ISVs, and to Power BI users looking to move up from native Power BI storage, although in both cases pricing will be key to adoption. I can’t wait to start using this with my customers! 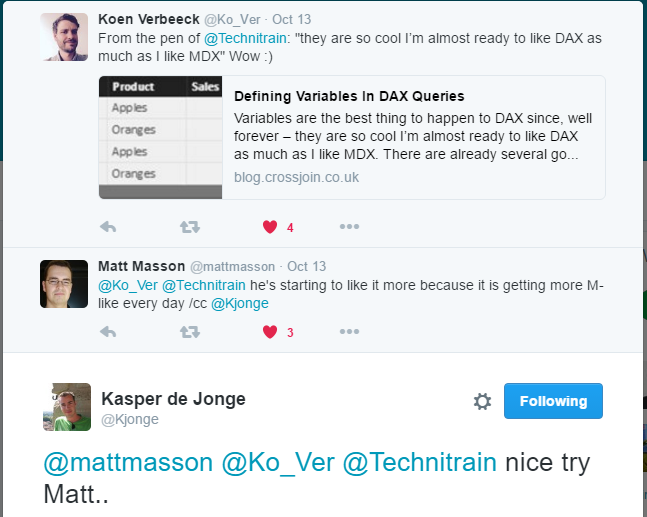 Variables are the best thing to happen to DAX since, well forever – they are so cool I’m almost ready to like DAX as much as I like MDX. There are already several good articles and blog posts out there describing how to use them (see here and here), but I was looking at a Profiler trace the other day and saw something I hadn’t yet realised about them: you can declare and use variables in the DEFINE clause of a DAX query. Since my series of posts on DAX queries still gets a fair amount of traffic, I thought it would be worth writing a brief post showing how this works. The benefits of using variables in this way are the same as you get when using variables in measures and calculated columns: improved readability, less repetition and potential performance improvements. “Failed to resolve name ‘FilteredMonths’. It is not a valid table, variable or function name”. In a lot of cases, multiple calculations contain some of the same logic and being able to use variables to share tables and values between calculations opens up some really interesting opportunities for performance optimisations. Often, when calling web services from Power BI or Power Query, you’ll need to generate some JSON inside your query to send to these web services. The M language makes this relatively easy to do with the Json.FromValue() function but there’s only one example of how to use it in the help so I though it might be useful to provide some worked examples of M data types and how Json.FromValue() turns them into JSON. Now, let’s see what this returns for a variety of different data types. You can download the sample Excel 2016 workbook with these examples in here. There are a lot of cool new features in the September 2016 update for Power BI, so many in fact that several of the really important changes in the Query Editor are in danger of going unnoticed. In this post I want to walk through how to use the new Invoke Custom Function button in the Query Editor in Power BI and explain why it’s such a useful thing to have. 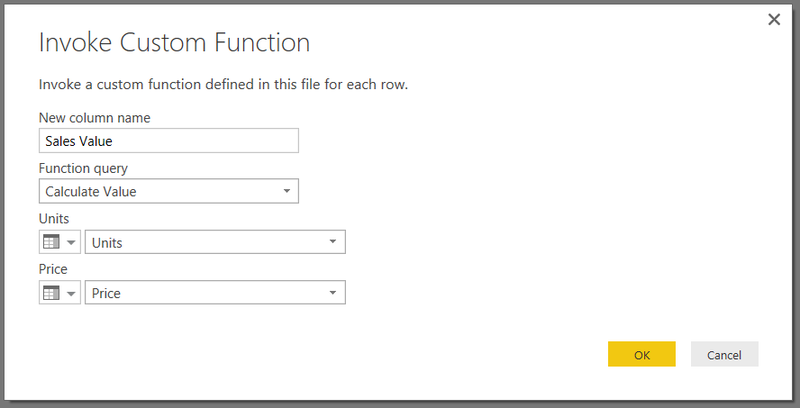 More advanced Power BI users will know that a lot of data loading patterns involve using custom M functions. In the past implementing these patterns involved learning M both for writing functions and also for invoking those functions. 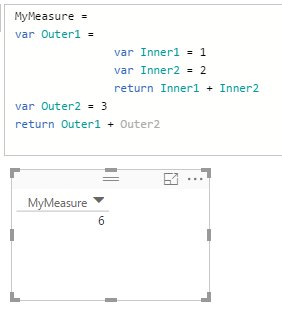 A few months ago Power BI introduced the ability to automatically generate functions from queries that use parameters, without needing to write code, and now with the latest update we can also invoke functions easily by clicking a button. This means that a lot more advanced data loading patterns are now available to users who don’t know any M and there’s even less need for someone like me to open the Advanced Editor window and start writing code. To take a more realistic example, look at this post – this new functionality replaces the step where I create a new Custom Column and invoke the GetSheet1() function that I created. This is why Power BI is so successful: Microsoft are not only implementing high-profile wow features but also adding the obscure, unsexy features that nonetheless make a real difference to the productivity of advanced users.